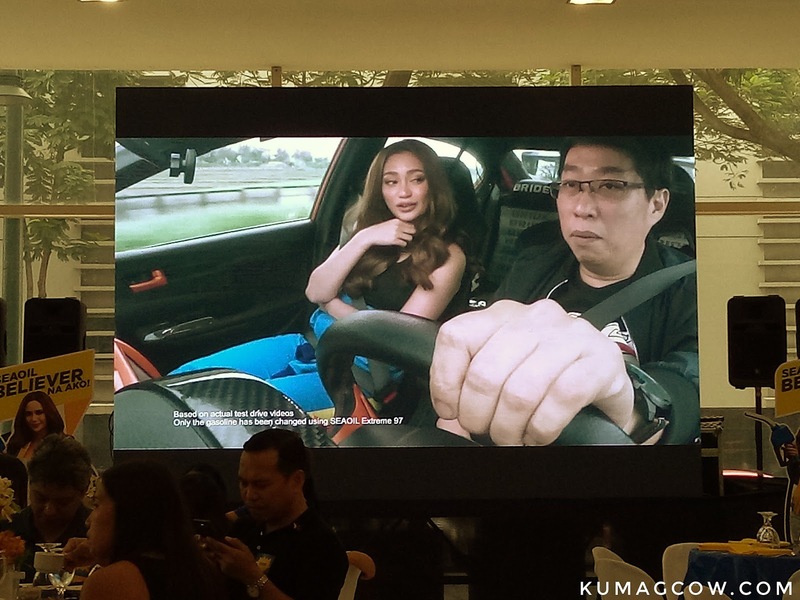 What would you do if a woman suddenly comes in your car and find out that it's Arci Muñoz? Would you be nervous? Would you freak out? But what if she brings you good news? Will you be willing to listen? Then let's do that shall we?! We had lunch at the Wellington Center in BGC not just to marvel at the gorgeous solo exhibit of Ms. Jingjing Romero, but to also hear good news that SEAOIL wants to share to us bloggers. You see, they've been in the Philippines for a couple of years now and I guess it's the opportune time to give back. Aside from the crazy deals you've already heard from them, they'll be giving away the chance for ANY PHILIPPINE CITIZEN to actually have FREE GAS FOR LIFE! Isn't that crazy? That's around 60,000 pesos worth of gas per year or about 5,000 a month. Now honestly, that's already a crazy proposition, but it turns out they'll be giving away that chance to 4 people. The raffle will also take place offline and online. Every time you purchase products from SEAOIL of worth Php 500 you will get a coupon which you can drop off drop boxes in their stations. 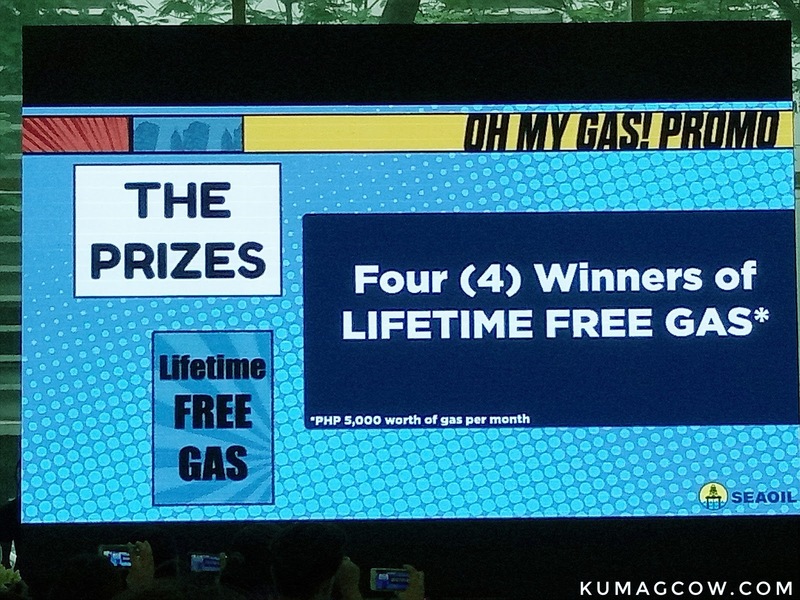 Aside from that, you can go to their website http://www.ohmygas.com.ph starting August 14 and will end November 14 this year. 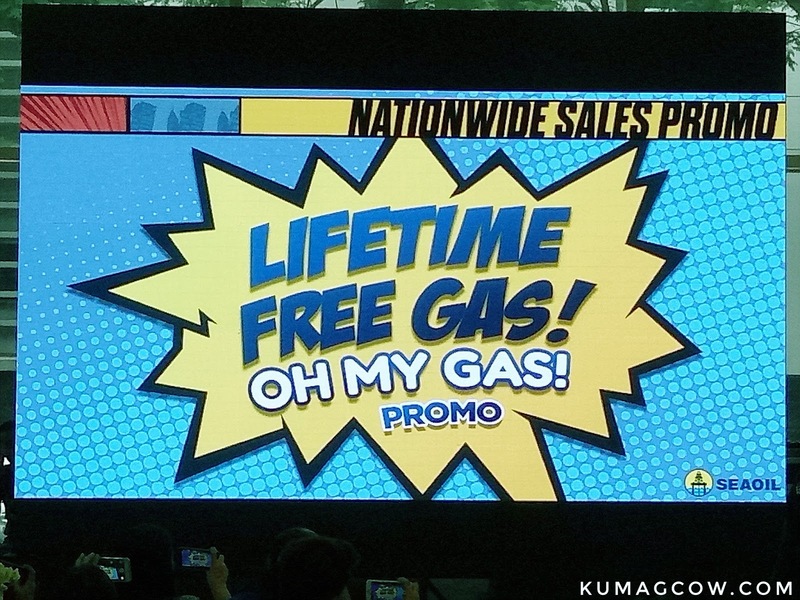 It's properly called Lifetime Free Gas, Oh My Gas! So if you want to join, you can do it both ways so you get more chances of winning. 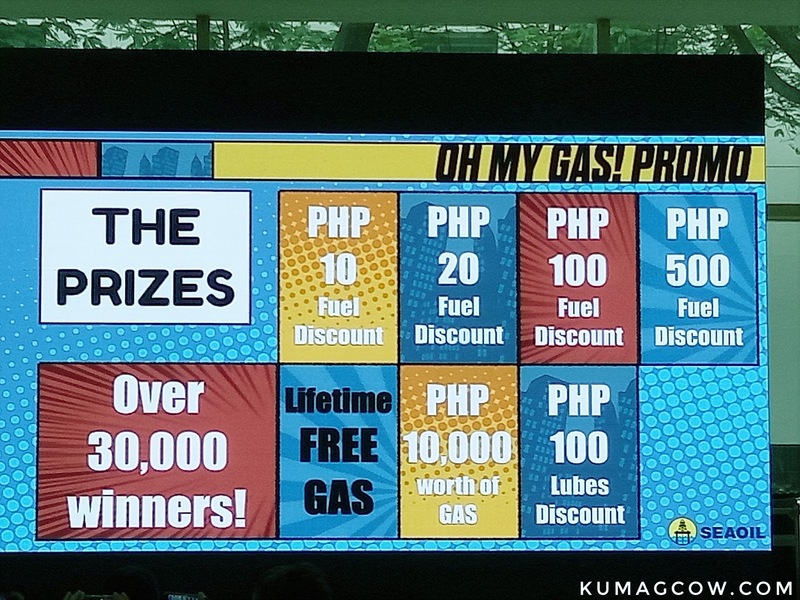 Aside from that, they will be giving away 30,000 instant prizes like fuel and product discounts right on the spot. Rey Jimenez, the Senior Manager for Marketing and Communications for SEAOIL says "We are announcing a national promo for the most beautiful cars that roam the roads of the Philippines. Our company is the newest player and leading independed oil player in the country. We have 6.9% market share according to ERC. Hopefully we will have more than 400 in the country. We were the first one to release the unleaded gasoline and clean air act compliant diesel in the country. We also have released biofuels ahead of the other players and launched high octane fuels, then partnered with STP. We also launched a product quality campaign with Arci Muñoz, import fuel from the best refineries, and plan to do a national sales promo from August 14 of LIFETIME FREE GAS OH MY GAS Promo." "You just need to gas up at least 500 pesos and you will be given a raffle coupon. Sign up and put it on drop boxes in our stations. Register at ohmygas.ph from August 14 to November 14, 2017 and you'll get a chance to win lifetime supply of free gas, a first in the world! That's 60,000 pesos worth of gas annually (5,000 pesos per month). It's available on diesel, gasoline and our other products. It will be tied on an individual and not on the car so you can also buy gasoline for your friends. You can win online and the one you dropped off drop boxes, we are also allowing single and accumulated receipts. Every Php 500 you spend will mean one coupon so if you buy more, there will be more chances of winning. 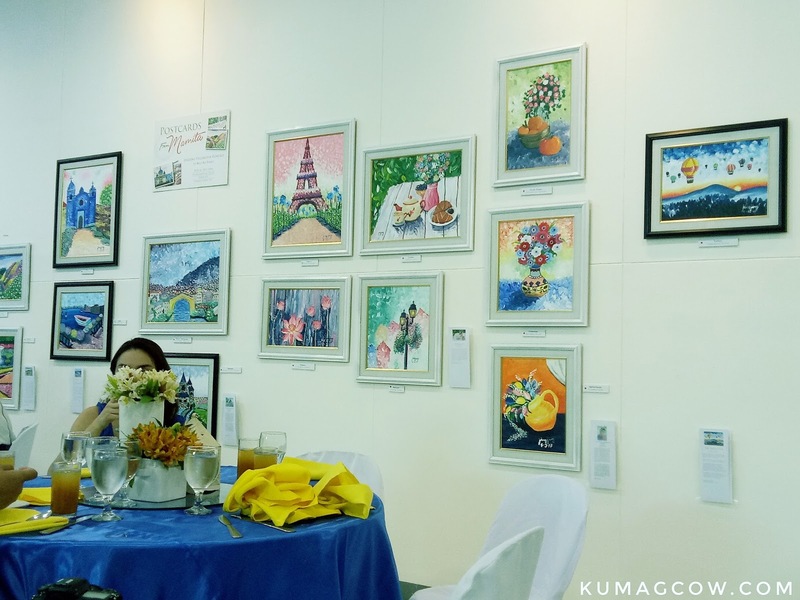 The draw will be done every month." Now that you know what's going to happen, go rush to SEAOIL stations around the Philippines now and on those dates. You don't want to miss the chance of winning FREE GAS FOR LIFE you know!